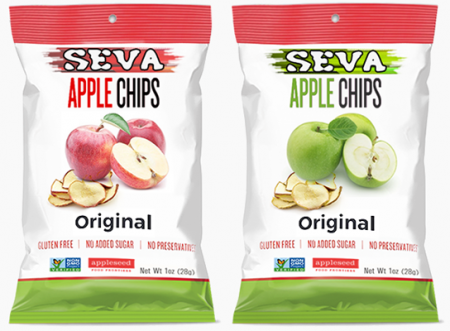 SEVA is launching a line of Apple chips starting in May, and you’ll only be able to get them at the supermarket! Product samples are limited so please sign up quickly. A confirmation E-Mail will be sent to the E-Mail Address you supplied. If you don’t get that confirmation email – then something went wrong with your submission form.